Get Ready for the Summer & Invest in French Doors! Make sure you’re fully prepared for the summer and invest is some new French doors which will successfully bring the outdoors in. 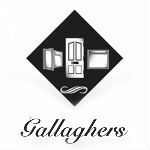 At Gallagher & Cropton we specialise in delivering custom-made doors to our customers, to learn more about this be sure to read our latest news post.